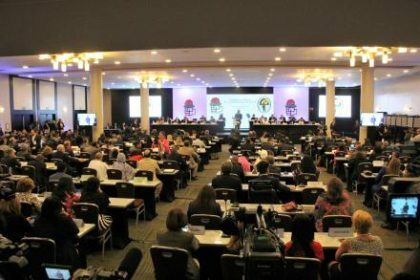 The Council of the Socialist International has voiced backing to the UN-brokered efforts seeking to reach “a peaceful, pragmatic and mutually acceptable political solution” to the Sahara issue. In a resolution adopted at the end of its meeting held Jan. 28-29 in Santo Domingo (Dominican Republic), the Council of SI expressed support to the UN call, urging all parties to the Sahara conflict to engage in good faith in the UN-led efforts to achieve an enduring political solution to this regional conflict, in accordance with Security Council resolution 2440 adopted on 31 October 2018. This resolution has recognized Algeria’s key role and direct involvement in the Sahara issue as the country arms, hosts and backs the Polisario separatist front diplomatically. The Socialist International welcomed the 1st roundtable meeting held in Geneva Dec.5-6 on the Sahara that brought together Morocco, Algeria, Mauritania, and the Polisario. The roundtable was convened at the initiative of the Personal Envoy of the UN Secretary General for the Sahara, Horst Köhler. On Tuesday (Jan.29), Köhler informed the Security Council about his plans to advance the UN-led political process and convene a second roundtable in March.